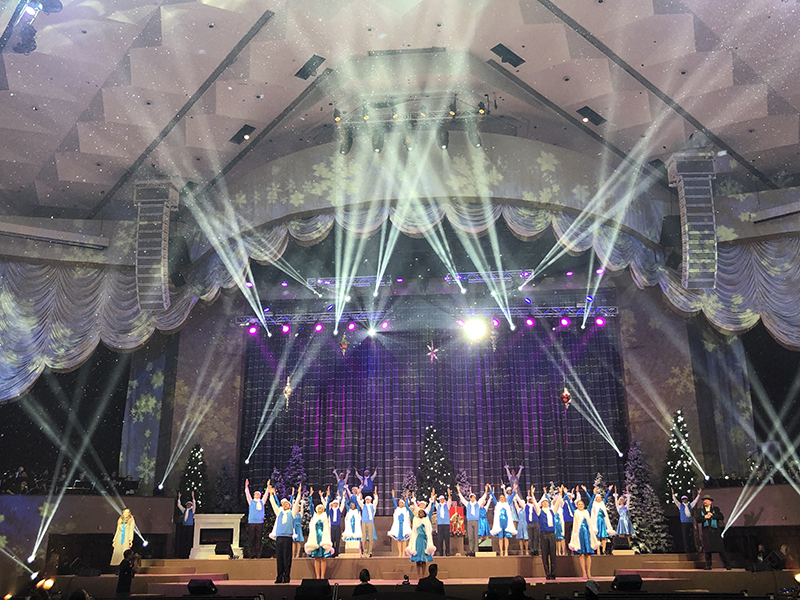 Church pageants in December aren’t uncommon — unless they draw crowds from hundreds of miles away, run for a month and have a budget of over $1 million. Yet this is what First Baptist Church of Ft. Lauderdale has been doing for years. 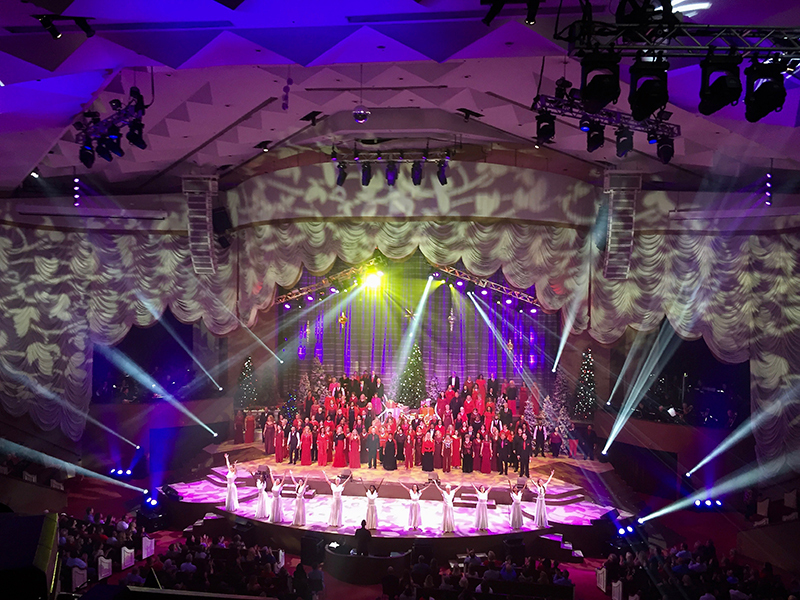 In 2018, the church marked its 35th year of combining holiday entertainment with a Gospel message. 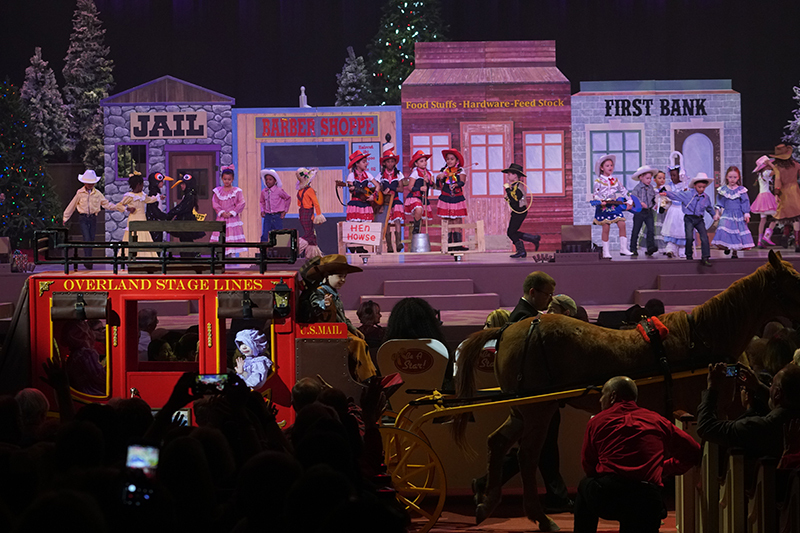 With the use of live animals, particularly for those moving from the house area to the stage, the staging needed to accommodate facilitating the animals’ movements. Two ramps, one on either side of the stage, are equipped with electric actuators so that they can be lowered for moving people, animals and other large objects from the house seating area to the stage, and then raised up to be level with the stage floor and used as part of the stage. When originally built, the ramps did not have any automation. Years later, the upper half of the ramps were rebuilt with manually operated hinged sections. A few years after that, the custom actuator system was developed to further automate the hinging movement for more efficient and smooth transitioning of elevation. The apron has three sets of stairs leading down into the house area, and the church has constructed modular platforms that fit into the stairs to turn them into thrusts. This year, those thrusts are used for holding large three-foot square presents and Christmas trees for Act I. 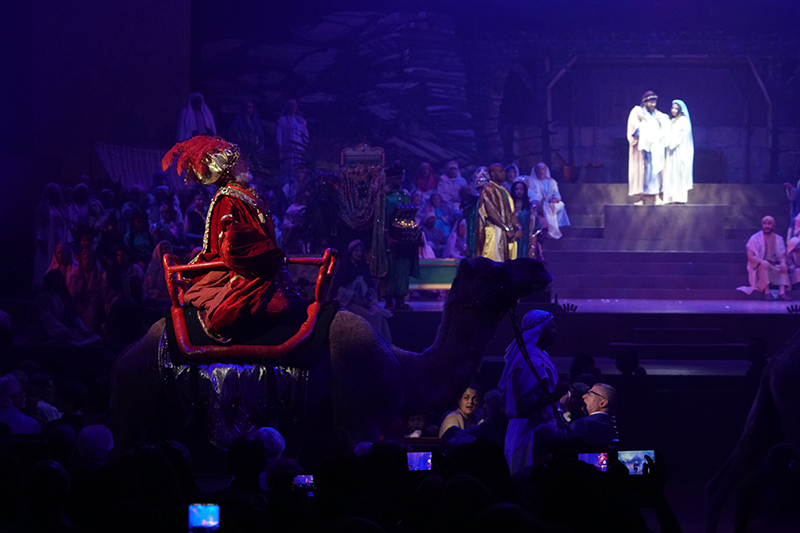 For Act II, however, those stairs are needed for the biblical scenes, and the staging is removed during intermission. 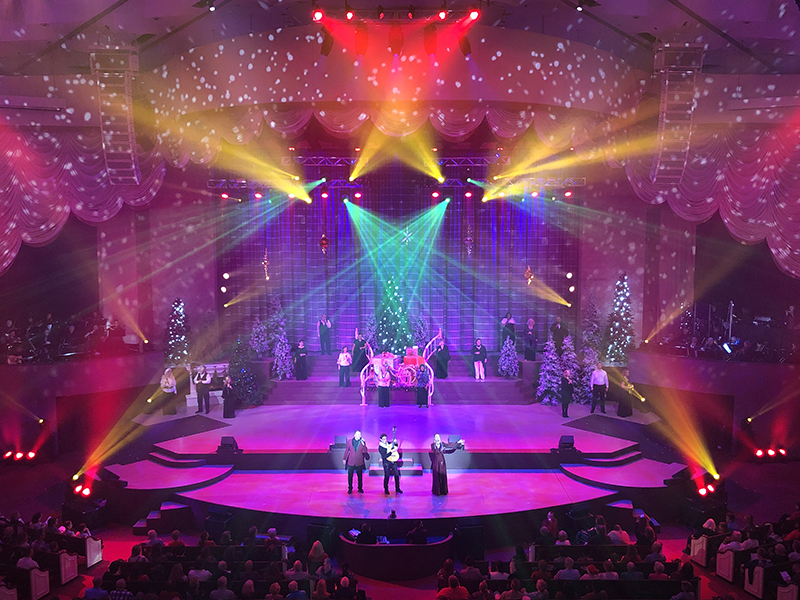 The most exciting part of the church’s staging, and very unusual for a church facility, is the lift system build into the apron of the stage. 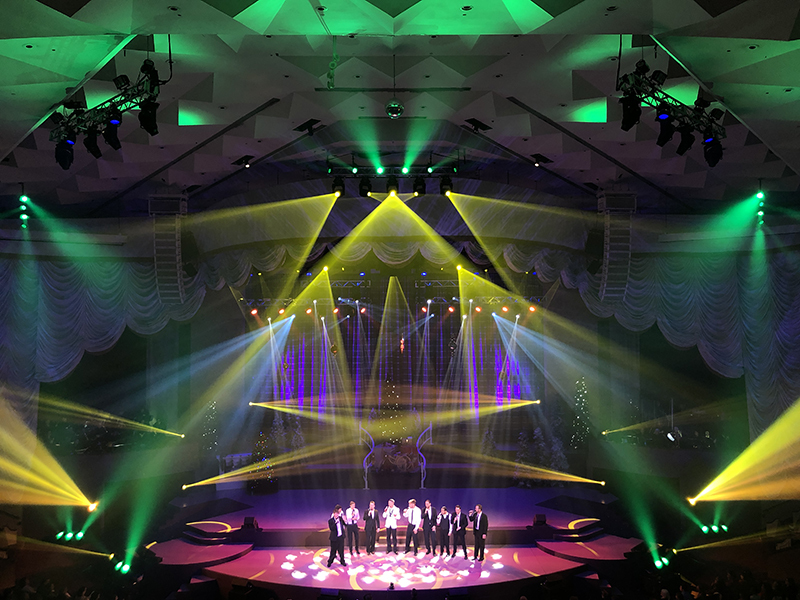 BJ Schnettler with Majestic Productions, who is the lighting console programmer and lead lighting technician for the show, describes this unique element. The lift system operates on compressed air, takes 22 seconds to charge, and then 20 seconds to raise. 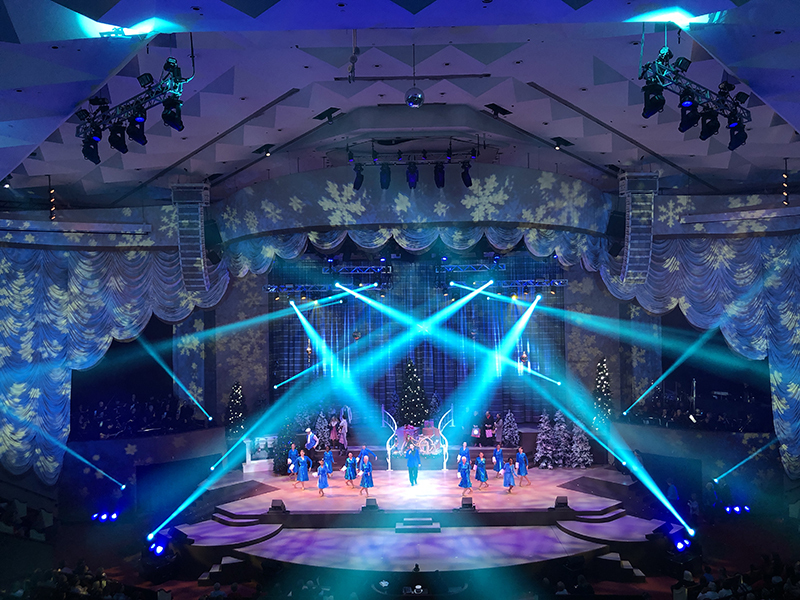 The church auditorium does not have fly space, so when backdrops are used for scenes, a track system is utilized to support them. 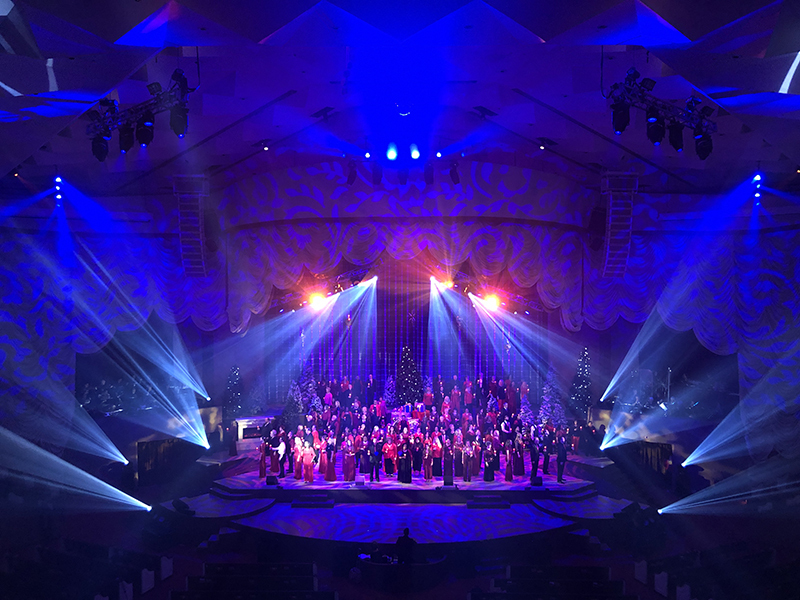 Years ago, First Baptist’s pageant grew in scope to the point where an outside lighting designer was needed to achieve the goals of the event and reduce the load on church staff. 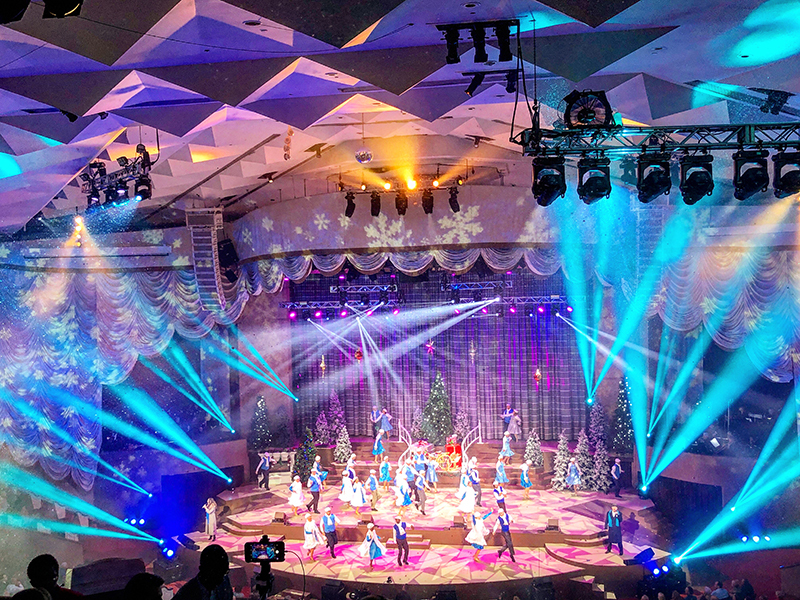 Helena Kuukka, an independent lighting designer based in Orlando, FL, took over that role 18 year ago after serving as associate designer for six years and has returned every year since. 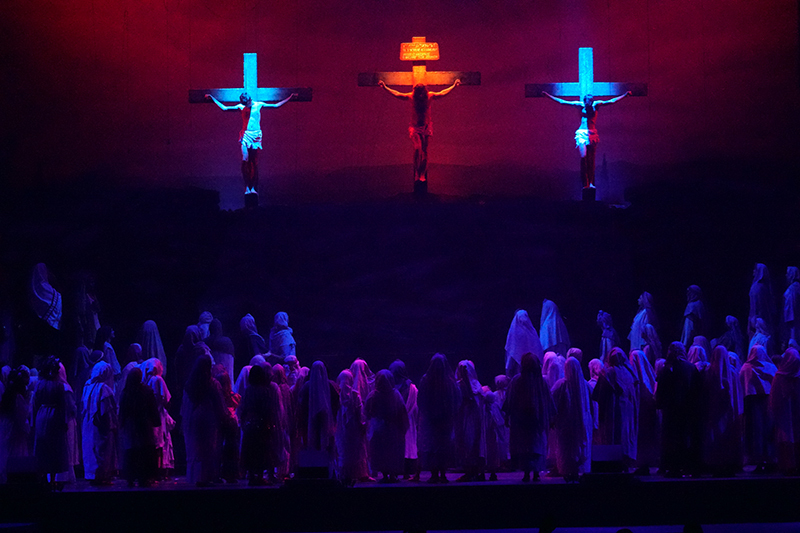 “Act II, with its full biblical story done through narration and song, moves us into a true theater role,” explains Kuukka. “I approach it as I do designing for opera: No lights are moving live, and it’s all about supporting the storytelling. We never want to draw attention away from the story. The church also uses some pyrotechnics as part of Act I, usually augmenting their biggest choir number. This year, that piece of the show didn’t lend itself as well to pyrotechnics, so pyro wasn’t as prevalent. Jim Kumorek is the owner of Spreading Flames Media, a provider of video production, photography and writing services. He can be contacted at www.spreadingflamesmedia.com.